Russia and NATO control the overwhelming majority of the world’s nuclear weapons and while the likelihood of an all-out war is low, the risk cannot be ignored. Russia and NATO are never going to see eye-to-eye on some issues, but tensions cannot be allowed to escalate. When Vladimir Putin came to power in January 2000, relations between Russia and NATO were at a very low ebb. Yet far from exhibiting any anti-Western tendencies, Putin initially attempted to facilitate rapprochement between Russia and the West. 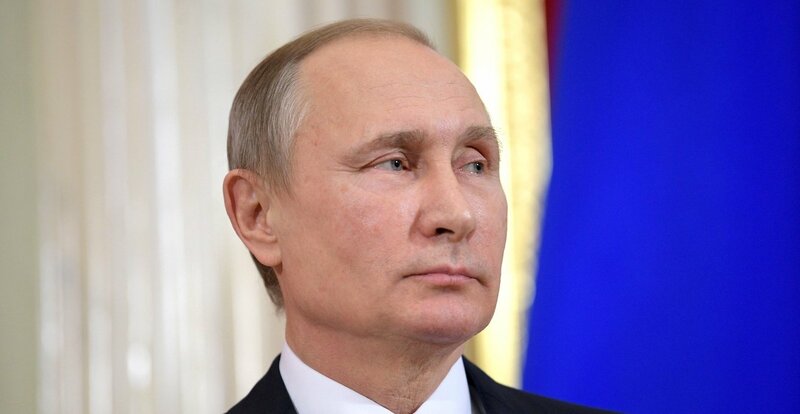 Putin characterised NATO as a minimal threat to Russia’s security, and even went as far as to suggest that Russia may still consider joining the alliance in the right circumstances. NATO responded with a conciliatory gesture of its own, establishing the NATO-Russia Council in November 2001. However, Putin’s overtures failed to dampen the alliance’s expansionist zeal. From 2003 to 2005 the West extended its influence further into Eastern Europe by aiding revolutions against pro-Russian regimes in Georgia and the Ukraine. Between 1993 and 2003, $700 million in US aid and $420 million European Union (EU) aid was directed into Georgia. Most of this money was channeled through Western NGOs and was used toward electoral and judicial reform and citizen mobilisation. Vote rigging by Georgia’s pro-Russian government in 2003 sparked widespread protests against the incumbent President Eduard Shevardnadze. Western NGOs played a key role in financing opposition parties and organising demonstrations. When popular pressure forced Shevardnadze to resign, he was succeeded by the pro-NATO Mikhail Saakashvili. Voter fraud orchestrated by the Ukraine’s pro-Russian President, Victor Yanukovich, in 2004 sparked similar protests in the Ukraine. Again, state-funded Western NGOs played a central role in mobilising anti-government demonstrators. Protestors were entertained with rock music, provided with free food and tent accommodation and even paid small amounts of money for attending rallies. When popular pressure prompted Ukraine’s Supreme Court to annul the election result and order a revote, the Western-backed Victor Yushchenko was elected President. In March 2004 NATO accepted seven new member states including the three Baltic states. For the first time, NATO was right on Russia’s border. Twelve hundred miles had separated Saint Petersburg from NATO during the Cold War, but that distance had been reduced to less than one hundred miles. Later that year Georgia and the Ukraine signed Individual Partnership Action Plans, and joint NATO-Ukraine military exercises in Crimea soon followed. Whilst Putin downplayed the importance of these events, others in his administration expressed much alarm. Foreign Minister Sergei Lavrov warned “we cannot, of course, watch impartially the military structure of the alliance moving ever closer to our borders.” It was quite reasonable for the Kremlin to view NATO’s incorporation of the Baltic States as an outright threat. Unlike the existing NATO members and former Warsaw Pact states, the 1990 Conventional Forces in Europe (CFE) Treaty, which was designed to prevent any country from amassing the weaponry required to launch an offensive war, didn’t bind the Baltic nations. NATO now held the legal right to deploy an unlimited quantity of troops and military hardware in the Baltic. Plans were made for the Baltic states to accede to an adapted CFE treaty, but a series of diplomatic stalemates resulted in the US and its NATO allies refusing to ratify the new agreement. In 2007, the Bush Administration announced plans to construct a missile defence shield in Eastern Europe. The pretext for this decision was that it was necessary to protect Europe from an Iranian nuclear attack. However, Moscow quickly realised that the shield would have the potential to undermine and perhaps even neutralise Russia’s nuclear deterrent. Putin suggested an alternative, namely the construction of a joint Russia-US radar warning system in Azerbaijan, but the US rejected this proposal. At this point, Putin was forced to abandon his conciliatory approach. In his 2007 State of the Nation Address, the Russian President characterised NATO as, “a real threat”. 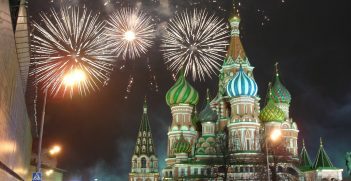 Russia formally suspended its observance of its CFE treaty obligations a month later. At a summit in Bucharest in April 2008, NATO released a statement affirming that Georgia and the Ukraine would be offered membership. US pressure was the chief driver of this decision, as several Western European alliance members expressed opposition to the plan. This was NATO’s most threatening and provocative move towards Russia yet. Ukraine, as the biggest country is Europe, constitutes an important strategic buffer between Russia and NATO. Napoleonic France, Wilhelmine Germany, and Nazi Germany all invaded Russia through south-eastern Europe and consequently, the Kremlin is extremely reticent to allow the armies of those countries to once again be stationed there. Georgia borders Russia’s volatile Caucasus region, already rife with minority nationalism and secessionist sentiment. Furthermore, both Georgia and the Ukraine are proximate to Russia’s Volga region, its agricultural heartland and its access point for Caspian Sea oil. The Kremlin cannot and will not risk its control over these assets being compromised. Russia and NATO: Where to Next? 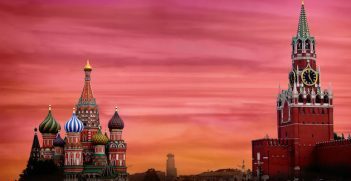 Winston Churchill once famously remarked that Russia is, “a riddle wrapped in a mystery inside an enigma.” However, since the end of the Cold War at least, the Russian mindset has been remarkably easy to understand. Russia regards NATO, the world’s most powerful military alliance, as a dire threat the its security. Russia’s goal of trying to halt NATO’s eastward march is rooted in a defensive realist view of international politics. The Kremlin is attempting to safeguard its security; it is not looking to reclaim lost status or recapture an empire. Analysts such as Derk Eppink have contended that, “Putin’s mind-set is largely rooted in the 19th century. Politics [for him] is about power.” Those who dismiss this worldview as outdated would do well to remember that Russia was almost destroyed twice in twentieth century by invasions through Eastern Europe. At least twenty-seven million Russians were killed during WWII, roughly one third of the war’s overall death toll. It should hardly be surprising that a sense of vulnerability still pervades Russian strategic thinking today. As the Ukraine continues to suffer through a protracted civil war, what can be done to ameliorate the tension between Russia and NATO and restore stability in Eastern Europe? Stephen Walt proposes that NATO should strike a deal with Ukraine and Russia that enshrines the status of the Ukraine as a non-aligned buffer state. Striking a similar deal regarding Georgia would also be prudent. Furthermore, NATO should support the incumbent government in Ukraine, whilst at the same time discouraging it from adopting a provocative stance towards Russia. Crimea will never be returned to the Ukraine, but NATO may be able to help the Ukraine regain sovereignty over its war torn eastern provinces by encouraging Kiev to cooperate with Moscow. Additionally, the US should discontinue its plans to expand its missile defence shield in Europe. This is a misguided policy that incentivises Russia to increase its reliance on tactical nuclear weapons and risks sparking another nuclear arms race. Paradoxically, Europe is safer without the shield. Finally, NATO should propose a replacement to the CFE treaty and guarantee that its nuclear arsenal will move no closer to Russia’s borders. In return for these assurances, Russia may be willing to downsize its nuclear armoury in Kaliningrad or even make concessions on the status of Abkhazia and South Ossetia. With neither side having shown much interest in diplomacy so far, it is hard to know how much can be achieved through negotiation. But the dangers entailed by the current standoff are alarming. Russia and NATO control the overwhelming majority of the world’s nuclear weapons and whilst the likelihood of an all-out war is low, this risk cannot be ignored. Russia and NATO are never going to see eye to eye on some issues, but tensions cannot be allowed to escalate any further. Western leaders are loath to make any concessions to Russia, but peace can only be re-established in Eastern Europe through compromise. Alexander Thalis graduated from the University of Sydney with First Class Honours in Government and International Relations, and has completed a Masters of International Relations Theory at the London School of Economics. This is an edited extract of an article titled “Threat or Threatened? Russian Foreign Policy in the Era of NATO Expansion” published in Volume 11, Issue 1 of Quarterly Access, the national publication of the youth networks of the AIIA. Thirty years since the end of the Cold War, tensions between Russia and the West are running high against the background of Syria, Ukraine and cyber attack allegations. But caution needs to be taken against new militant Cold Warriors. 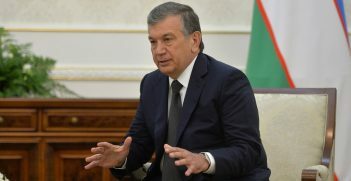 With a more open foreign policy and better reform prospects, Uzbekistan's recently elected President Shavkat Mirziyoyev has many convinced of his geniality. Only time will tell if he can lead the nation to a prosperous future. Seventy-five years since the first Australian embassy opened in Russia, on 26 January 1943, Moscow wants to strengthen dialogue with Canberra to build a secure regional architecture based on a non-aligned approach.